Help your scouts (first grade through sixth grade) earn their Pet Care Badge by spending an evening at the Harbor Humane Society. This event is open to both Girl and Boy Scouts. Scout nights are held one Wednesday a month, October through March, from 6:00 p.m. – 8:00 p.m. There is no Scout Night in December. 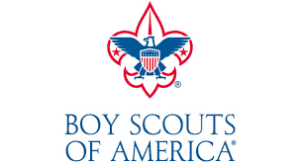 Scouts will take a behind the scenes tour of the Harbor Humane Society, learn about and interact with cats/kittens and make a cat toy to take home. They will also learn about dogs and the ways we communicate with them while spending time with our furry friends. There is a $5.00 per scout fee that will be due 10 days after the phone/email registration is made in order to hold your troop’s space. The fee is non-refundable. Checks should be made payable to Harbor Humane Society and mailed to 14345 Bagley St. West Olive, MI, 49460 Attn: Sarah Shea. Payment by credit card is also available upon request. We can accommodate up to 40 scouts per date. Register early as dates tend to fill quickly. If for any reason we have less than 10 scouts registered for a session we will reschedule to another date.